Everybody has known about the merger between Walgreens and Rite Aid for about two years already. The acquisition was expected to be finished in the second half of 2016, but was not finished due to several roadblocks for Walgreens. The first news about the possible acquisition of the Rite Aid pharmacy chain was reported in fall 2015. With the initial cost at $9 per share, the total enterprise value was about $17.2 billion. Now the price is less than half that. That year many rumors were spread, and there wasn’t any doubt about the Walgreens and Rite Aid merger. People discussed possible consequences of this event, including how this would affect shareholders, Rite Aid pharmacists, and communities. Another concern was if the Federal Trade Commission would approve a merger between the two drug giants. People were mostly skeptical about the approval in 2015. During the last two years, the FTC has required more detail from Walgreens on their deal due to some trust issues caused by making such a large deal. To make the merger possible, the FTC required Walgreens to sell some of their stores. Walgreens agreed to sell about 1,000 of its stores as required by federal anti-trust regulators. In December 2016, Walgreens and Rite Aid agreed to sell 865 Rite Aid stores to Fred’s Inc., a Memphis-based company. This $950 million deal has pushed the deadline for the Rite Aid acquisition back for about six months. Anti-trust regulators were going to create another top pharmacy chain by selling those stores to Fred’s. In this case, the effect of the merger between two pharmaceutical giants would be minimal on local communities. To accomplish the deal, Walgreens states that it will sell up to 1,200 stores if needed. If Rite Aid needs to shed less than 1,000 stores, the recalculated share value will be $7. If regulators require shedding 1,200 stores, the share cost will be $6.50 per share. The acquisition will be valued at $6.84 billion to $7.37 billion depending on how many stores the FTC requires to be sold. There are three different scenarios possible: divesting 865 stores, divesting up to 1,000 stores, or divesting up to 1,200 stores. Walgreens remains optimistic, and thinks that 865 stores sold to Fred’s chain would be enough. 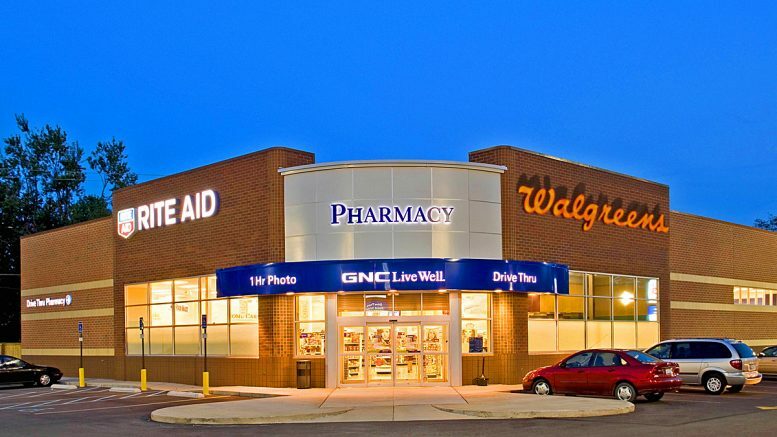 In any case, even if 1,200 stores must be sold, this deal will be profitable for Walgreens since it has more than 8,000 stores across the U.S. Plus, Rite Aid is also interested in this merger and has 4,600 stores. Furthermore, Debbie Feinstein, Bureau of Competition director for the FTC, wished to get the deal Walgreens approved before she resigns within the coming weeks. In 2017, because of the uncertain future of the Rite Aid chain, the pharmacy’s stock (NYSE: RAD) has dipped. There was a small increase in share cost after Bloomberg published their report on the FTC’s concerns about Walgreens and Rite Aid. In January 2017, the cost was $6.93 per share. Since 2015, Rite Aid’s share has fallen from $9 per share to below $8 per share. Some shareholders stated that the price of $9 per share underplayed the worth of the company, despite the fact that Rite Aid’s shares are lower than they were in August 2015. As of February 21, a Rite Aid share cost $5.95. As it is not clear what Walgreen’s next step will be after the merger, a lot of Rite Aid employees are concerned about their future. In 2015, Walgreens said that Rite Aid would work under their existing brand at first. At the same time, they added that all the decisions on corporate integration would be made later, after the deal was approved. As for now, it is impossible to predict what Walgreens presence the company would maintain in Pennsylvania, where Rite Aid is based. In the near future, Rite Aid employees will get answers to their questions. This will be a relief since the merger process has lasted about a year and a half. According to Ashley Flower, a Rite Aid spokesperson, there are more than 2,000 employees just in central Pennsylvania. Most of them work in corporate buildings. About 1,000 employees work in stores around Harrisburg. About 6,000 Rite Aid workers united against the deal between the two pharmacy chains. They were arguing against Walgreens’ efforts to address antitrust concerns because those did not go far enough. Veronica Turner-Biggs, senior executive vice president of the union, said in her letter to Feinstein that the merger would cause harm to innovation, competition, workers and consumers, regardless of the proposed reductions. She explained that an increased market share will create all the right conditions for Walgreens to abuse their power. Most experts think that a merger will be completed within the next four weeks. Both companies will have about 46% of the market share. The last roadblock preventing Walgreens from this merger will be destroyed if Feinstein approves the deal before she resigns. The only event that could prevent Walgreens from the acquisition is protests by Rite Aid employees and their pushing on the FTC. However, the chances of this are low. 3 Comments on "Walgreens and Rite Aid Merger"
Everything is so corrupt right now, that to find justice and righteousness, morals and ethics is a deep breath. Oh, and by the way, that picture is not of me. Alternet, started that. Speaking of social injustice. Ah the vicious lies the corporations, politicians, religions and media weave. Tis truly sad what this world has become. However, there is a way forward. I think that from the merger of such large companies everyone will benefit, including these companies themselves, as their target audience will significantly expand.